Garden Carpentry. Timber decking design and build: Decking season is nearly here in Wales! Decking season is nearly here in Wales! Christmas and new years are now past us, an this is traditionally the start of decking season for us here, or at least in the next few weeks anyway. Most years, the majority of our customers tend to forget about their gardens until the first weekend of summer raises its head at around Easter, and then its mad rush to get all the decks we have finished before the start of summer so that people can make use of the best of the weather. So why not get ready a bit sooner this year and get your Garden and decking area, or new fence built now, so that when summer arrives its all ready to go! 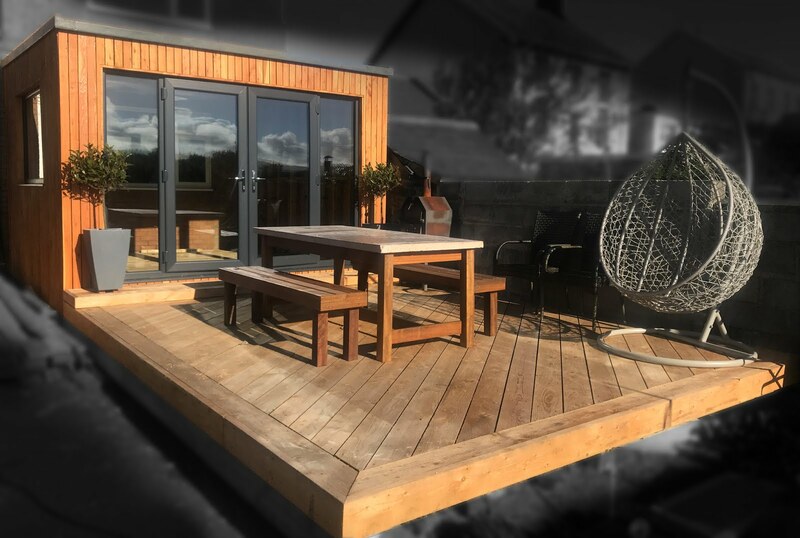 With over ten years experience in outdoor carpentry, Garden Carpentry are specialists in Timber decking and fencing and all other things garden! We regularly work on awkward cliff top spots, areas with bad access and caravans are a regular for us. 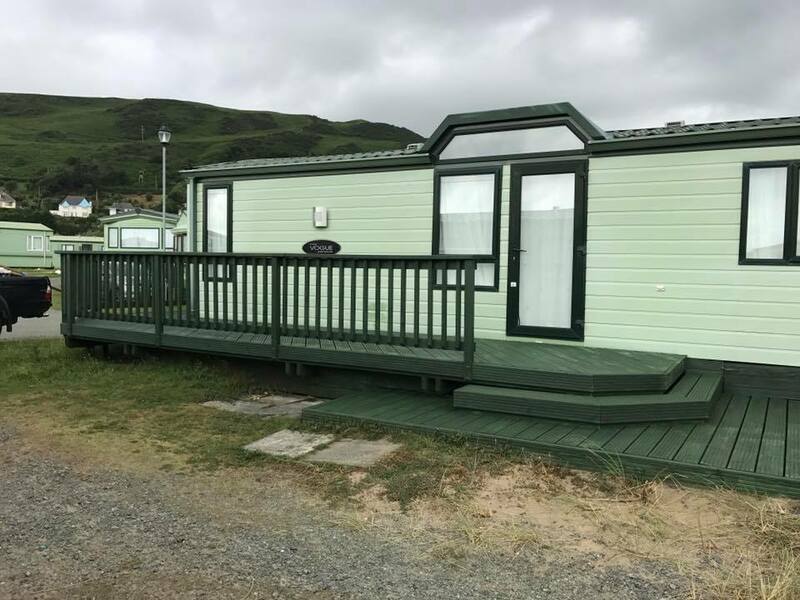 Were more than happy to take on small jobs such as a decorative stair case as seen here or larger jobs such as the chalet above, which was built for Customers at the Panteidal Chalet park in Aberdovey. 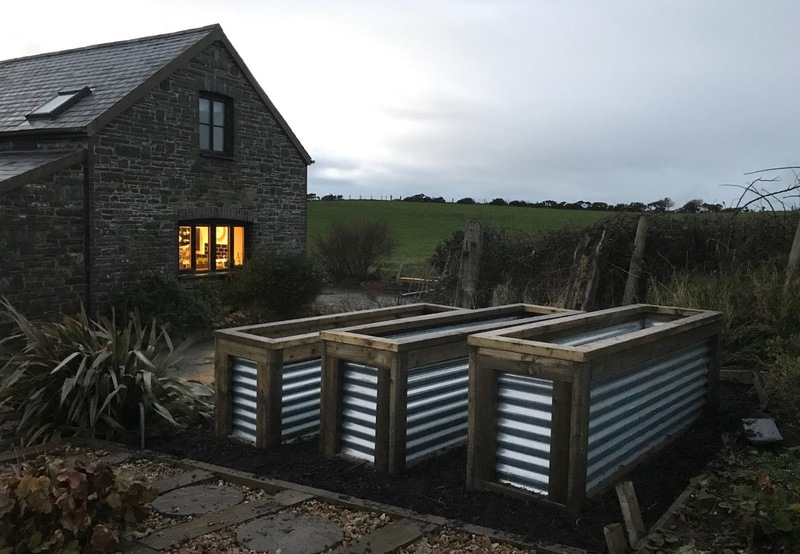 Were Based in Pennal near Machynlleth, but are happy to work i a large area, all around mid/west wales, Aberystywth, Tywyn, Barmouth, Porthmadog and even in the border areas. So please do ask before thinking you live to far away. Then there's Caravans! Over half of our work is based on fitting Timber decking, boxing off, patios and stair cases to new caravans. We have years of experience on advising customers on the best way to maximise their space, whilst staying within caravan parks regulations. We try to maximise the standard lengths of timber to ensure you get the best value for money. Happy to see all the information. Like to be a user friendly blog at where you have updated all the material information. Near to nature very beautiful and information is also great.